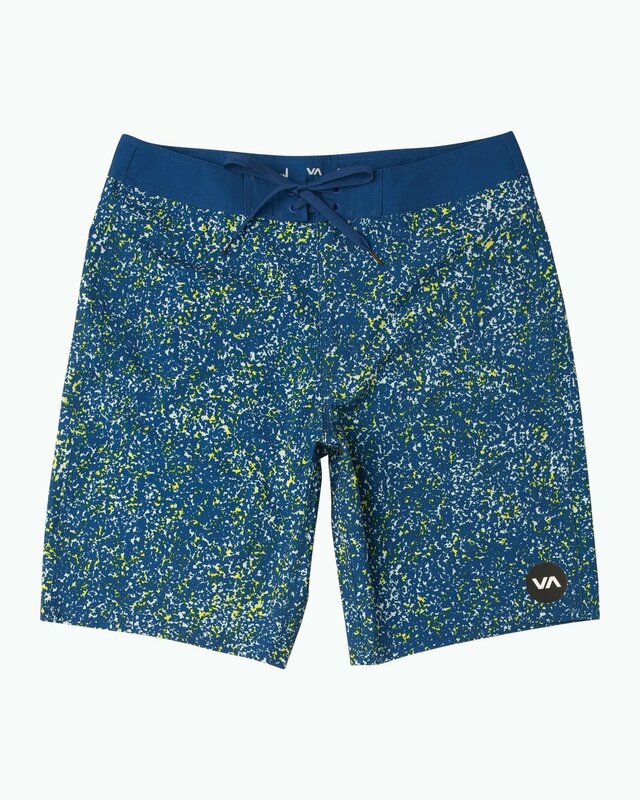 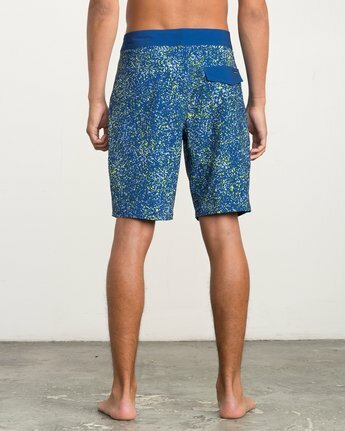 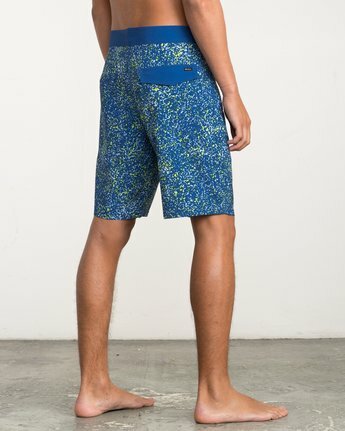 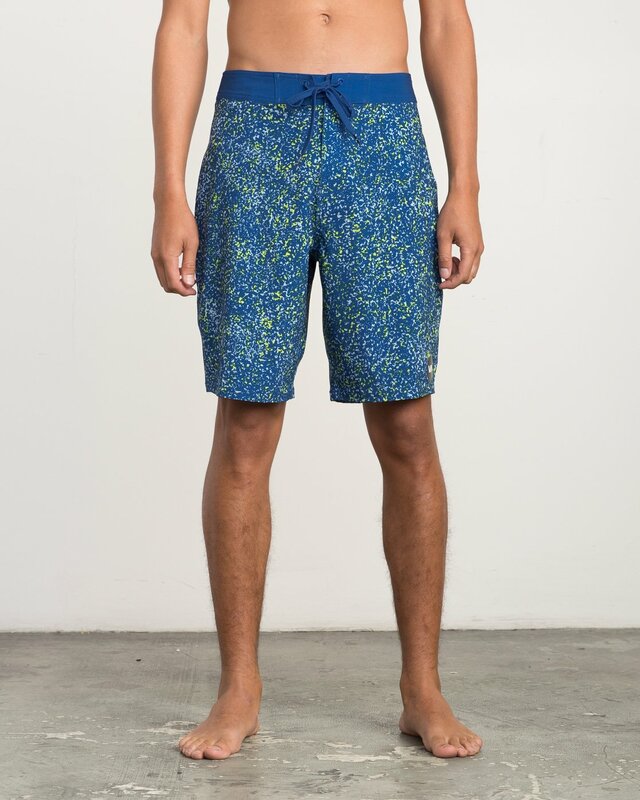 RVCA Colva Pack Printed Boardshort leaves a custom mark on the performance boardshort with an allover print, balanced with a classic solid waistband. 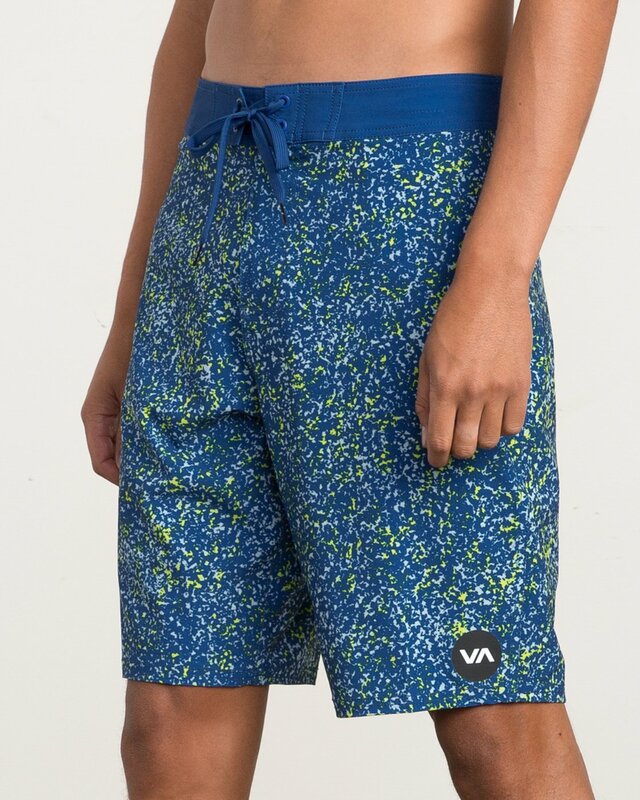 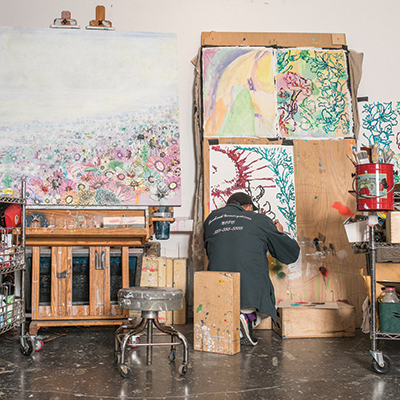 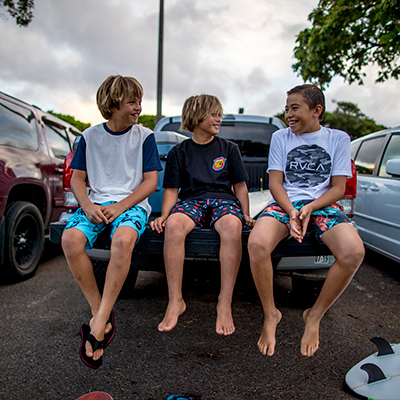 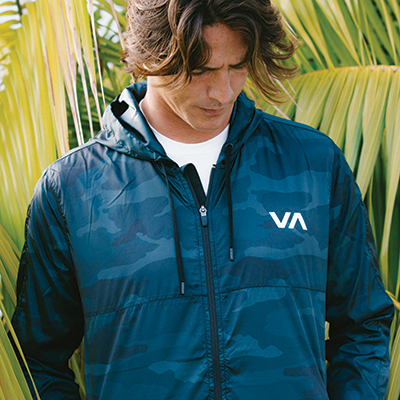 Made from 4-way stretch performance fabric, the custom printed boardshort is part of RVCA’s Industry Collection. 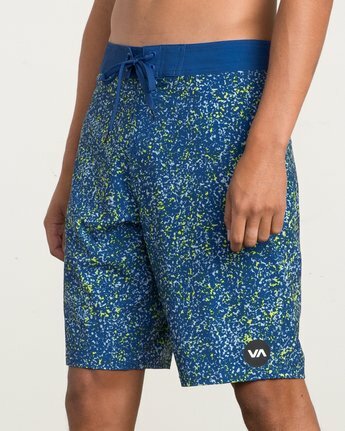 Coated with a DWR finished for water-repellent function, the printed surf shorts feature a 20” outseam length, topped with a RVCA Motors patch at the left leg.